Most times, a publisher giving away a game for free is cause for excitement. 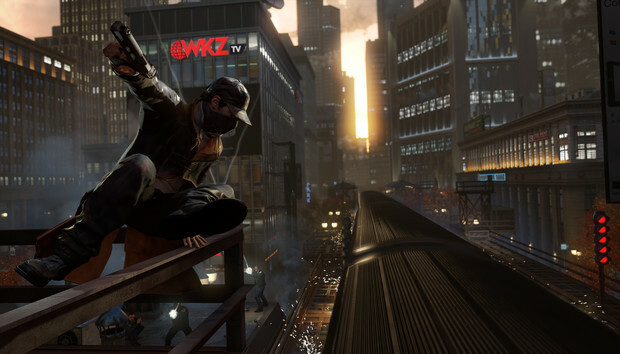 Other times...well, Ubisoft is giving away copies of Watch Dogs this week—the original, not the far superior sequel. If you have a Uplay account and didn’t buy it already, you can head over here and grab it free. “Aiden Pearce and his self-righteous quest for revenge (tinged every once in a while with ‘Oh no, what have I done?’) is the most boring story since Assassin’s Creed III’s tale of Connor, who was on a quest for vengeance after some other MacGuffin left his mother dead. To be honest I just looked at my review of Watch Dogs and was surprised I scored it a 3.5 out of 5. I guess it’s the most inoffensive score for the most inoffensive, mediocre, bland game in recent memory, though if you asked me to reevaluate it in 2017 I’d probably drop it a few rungs. In 2014 it at least had some interesting systems (seamless drop-in multiplayer) and excellent graphics. In 2017 it has...uh, Aiden Pearce. And a pretty nice open-world recreation of Chicago. So yeah, on that stunning recommendation, feel free to head over to Uplay and secure your copy ASAP. The promotion ends next Monday, November 13, at which point you’ll have to say (in your best sarcastic voice) “Oh no, I forgot to get that copy of Watch Dogs! What ever will I do?” and check out PCWorld’s big list of the best free PC games.